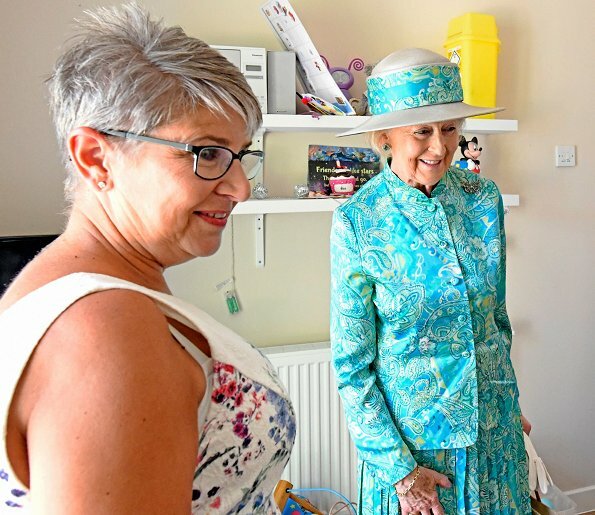 Britain's Princess Alexandra visited FitzRoyUK in Suffolk to officially open Stepping Stones service. 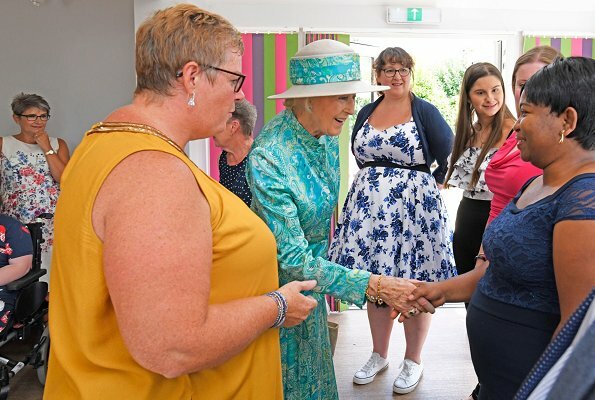 Stepping Stones is home to four ladies with learning disabilities who are supported by the charity to lead independent and fulfilling lives. 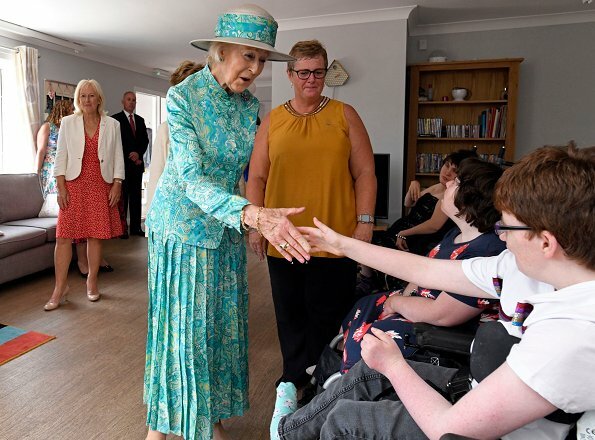 Princess Alexandra met with the young ladies, their families and FitzRoy staff, and was given a tour around their bungalow. 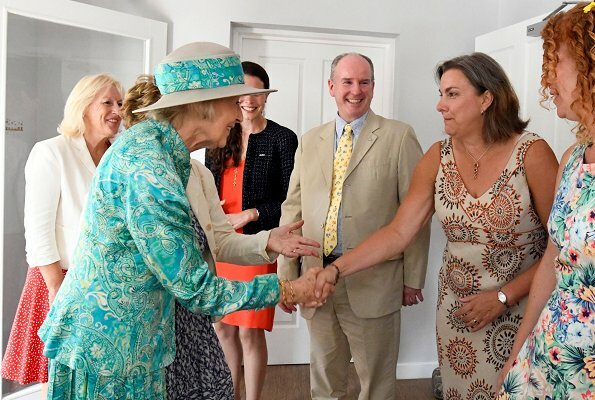 Princess Alexandra is the patron of FitzRoy since 1985. 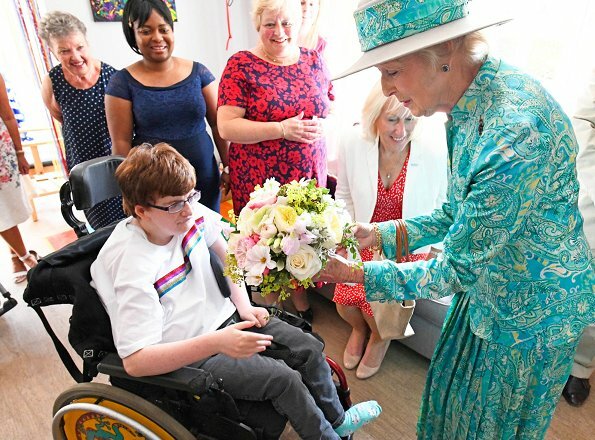 FitzRoy is a national charity transforming the lives of people with learning disabilities and autism, helping them get the most out of life. Love the outfit. A favourite of mine of the British Royal Family. Love this Princess - discreet and elegant and doing her bit to help the Queen. 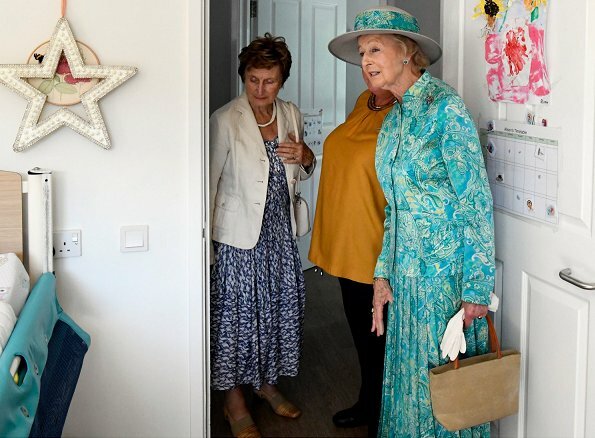 Love the aquamarine colour and paisley pattern - quite a lot of it, too much on a younger woman but I think Princess Alexandra can get away with it. Pss Alexandra always elegant and a lovely smile. 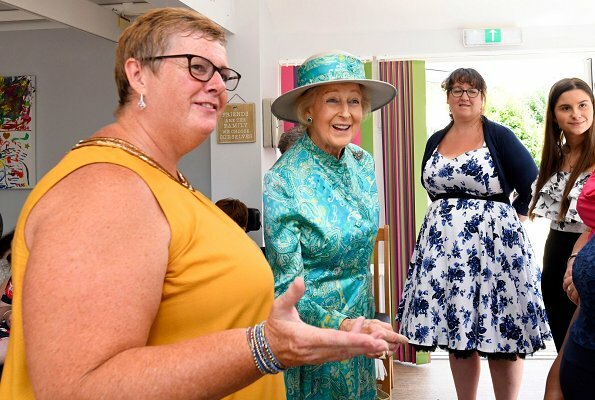 How wonderful to see Princess Alexandra out and about. She looks lovely in her two piece aquamarine suit. I remember meeting her many years ago when she came to Victoria. A very gracious and elegant lady. Total class!! Such an elegant, dignified woman in a beautiful dress and hat. Having a great-grandson with Autism I recognize the need for them to obtain help for their future, getting skills and feeling competent.